I haven't done a post like this in a few months and that's because I was waiting until after a really great haul from the Sephora sale and Target to highlight some great items!! I really wanted to do a video of these, but the lighting, the camera and everything else was not cooperating - so I'll do what I do best and write about it! The first two items are Target purchases. 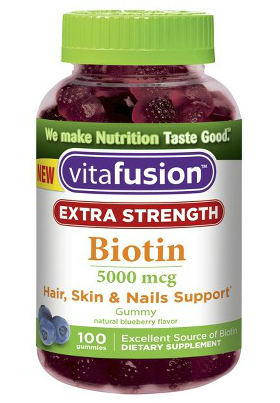 I bought these Biotin gummies last month to see if I could get a little extra help with my nails. They were a little brittle from years of wearing acrylics - yes I had fake nails!! I have to say I am extremely happy with this purchase!!! It has worked wonders and my nails have been growing steadily and are much stronger. I'm only using it for this purpose so haven't really been paying attention to my hair or skin...but it's a gummy form so taking them is like eating candy which is a win for me!! This L'Oreal hairspray is no joke!! It totally lives up to it's name and definitely locks hair in place. I will say that it get's really stiff when you first spray your hair and then sort of loosens out after about a half hour so it's not as hard. I really only use hairspray when I curl my hair and for the last week or so I've been curling it ever other day, more on that later this week, but this has been my go-to hairspray! I think the smell isn't bad either! I was in the market for a new bronzer, but couldn't really decide on which one to get! I noticed this set of four near checkout! The colors are Sun Bunny, Endless Summer, Milk Chocolate Soleil and Chocolate Soleil! I'm obsessed!!! Not only do they smell good, like all too faced products, but even though some of the colors appear really dark, they aren't actually that dark once applied! For $22 it was a really great purchase and I'm set with bronzers for a while! I still love my current bronzer, Benefit's Hoolah, but it's a little bulky to take on vacations and to the gym, so these are perfect!! I really wasn't planning on buying another lipstick or lip gloss, but the checkout aisle strikes again and these Bite Beauty minis ($12) were just too cute to pass up! I really didn't need another gloss, but I love their Lip Crayon's so much I thought I'd get another color to add to my current collection!! I have pomegranate as well! It's super pigmented, incredibly moisturizing, and much better suited for every day use unlike the red I have. I had really high hopes for this mask!! I purchased the small trial size ($19) and wont scare you all with a picture of me in the mask!! I read reviews that it would tingle when it started to dry but I really had no idea how much - I felt like my face was burning off...a tad dramatic, but I waited it out and about two minutes in the mask was fully dry!! You could instantly feel it tightening and I could see all my pores which was pretty cool! After 10 minutes I took the mask off and really had to scrub the "mud" off to get a clean face again. I do like it, but I'm happy I didn't buy the full size!! I like the Ren Renewal Mask sample I tried more! I went back and forth between this foundation and the Bare Minerals Bare Skin foundation and finally decided that I didn't want to get the brush that went along with the Bare Skin so went for Urban Decay's Naked Skin. I don't wear foundation every day, but I've used it a few times and I'm in love. It's so lightweight that I seriously don't feel like I'm wearing anything!! What sold me was that the finish was neither matte nor dewy, but in between and it has buildable coverage. Ladies - lash primer is my secret weapon to really long and full lashes! They say it works best with Clinique mascaras, but I use it with my L'Oreal drugstore mascara and it's perfect!! I need a new one after finishing off the Origins Lash Primer and it works just as well!! I'm going to be 100% honest here and say I'm still on the fence with the Beauty Blender! I have tried it for full face application of foundation and don't like it at all - I prefer to use my hands and really get all over coverage. My original reason for purchasing was for the under eye area and using it with concealer and for this reason alone I'm keeping it!! I get really smooth coverage under my eyes and it just gets into the nooks and crannies that my brushes don't. Did you have any great scores from the Sephora sale? Do you use any of these products? P.S. Huge thank you to all of you that left your sweet words and on my post yesterday...hope you entered the giveaway!! Ohh I'm going to have to check out that Ren mask! I liked the GlamGlow but wasn't blown away by it. I want to try that Clinique lash primer too! I used to use mascara primer and I loved it, I don't know why I stopped LOL! Great post!! I'm all about the gummy vitamins though I didn't realize they had Biotin! I'll definitely be checking them out because I have awful, thin nails that always peel.. unfortunately I think it's just due to bad genes since they've always been this way, but I'm hopeful the biotin will help out! 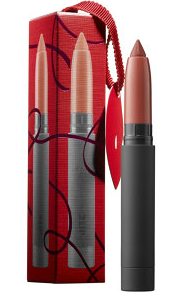 And all of these other beauty picks are making me want to hit up Sephora - love them! I think I'm going to also try out that lash primer - thanks for sharing! I'm still waiting for my GlamGlow to arrive...after reading your review, I'm glad I stuck with the smaller size before making a big(ger) investment! I need to try that Biotin!! I used to take it, but of course I stopped. And I am going to give that roller ball thing a try for under my eyes! I don't wear foundation, just powder, but I do wear concealer under my eyes, so it could help those pesky bags! I spy some of my faves right now, too. I love the Naked foundation- it's so light when you apply it, and I love it has peptides in it to the improve the skin. (Multi-taskers are amazing, no?) I LOVE the way Too Faced bronzers smell- so yum! And I'm a huge Bite Beauty fan- all the products I've tested from them are so pigmented! Biotin gummies. I like that concept. Happy Tuesday and do not forget to check out the latest vintage sunglasses giveaway! FUN finds, lady! I'm doing a Sephora haul post, later this week. I'm debating on the pink egg, right now I use a brush and i'm still deciding if I like it or not. Lash primer sounds intriguing. oh i love new beauty finds :) and i cannot ever resist a lipstick or lipgloss. i have a bad addiction! 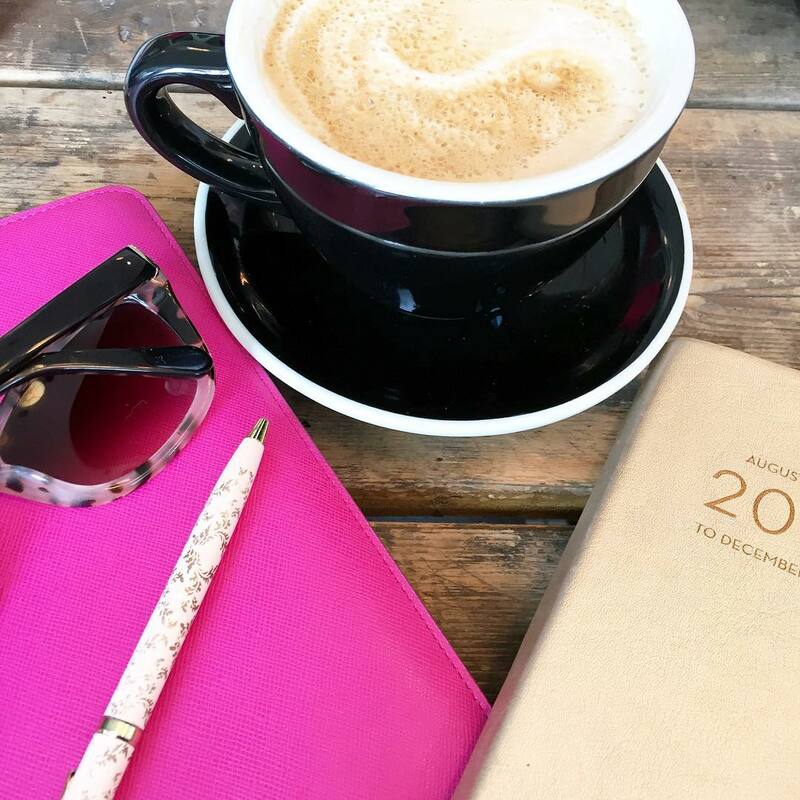 guess there are worse things :) good recap, chica! 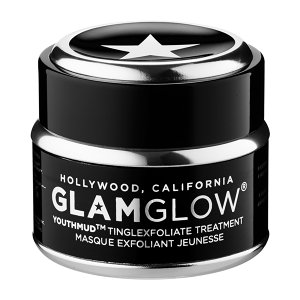 Sometimes I think cult products like the glamglo mask really don't live up to the hype! Glad to see I'm not the only one who wasn't totally in love with it! I have GOT to get my hands on a mascara primer! That sounds like exactly what I need! I'm in a couple weddings in the spring that I'm dying to wear my hair mostly down and curled for (but ew, sweat) so I might have to pick up that l'oreal hair spray! This sealed the deal for me! I'm definitely trying the Ren mask now! Those are the same brand of prenatals I took with Mia :) I had no problem taking my daily dose of gummy vitamins then, HA! I hhh love these posts! I'm going to have to look into the foundation and lash primer, I've never used primer for my lashes! I really need to purchase some biotin. Maybe if I get the gummies Ill actually take them! Im gonna look into that foundation! Gummy vitamins are always a nice option, I'll have to keep my eye out for this biotin version! Also need to keep an eye out for that lash building primer! I need to start taking Biotin again! I used to and definitely noticed a difference! I have wondered about the beauty blender, I've seen it everywhere but I wasn't sure if I would like it or not because I do prefer using my fingers for foundation and all that. Thanks for the review! I've been looking for a great bronzer, I'll have to try the Too Faced one. You can't beat a set of 4! the bb needs to be dampened--you didn't mention how you used it, so not sure if you've tried it that way. i have a mini glam glow for moisture and haven't been as impressed as the other glamglow ones. I thought I was the only one on the fence about the beauty blender! I have not tried dampening it though!! I am going to try this today!! Thanks for the great tip Elle. I love that mascara primer. I stopped using it because well I just got lazy. As for the beauty blender, I put my foundation on with a brush and then use the beauty blender to bend it. I find that that works better. I also think it works great for concealer. Also, after I put on my blush and highlighting powder, I go over it all with the blender to blend it in and it really has made a difference. The blender sort of blends it all together nicely. I hope that I'm explaining that well. Probably not though. You know they make little ones know that are for concealers? I just found out about them but haven't purchased it yet. Glad you finally got your hands on the Too Faced bronzers! Chocolate Soleil has been my go-to for a while now - isn't it fantastic? I'm glad you didn't spend the money on the Bare Minerals liquid foundation ... my mom gifted it to me a couple weeks ago after she bought it and didn't like it (luckily, we have the same skin tone so our foundation colors usually match) - I've been testing it out, and I am not a fan. I'm planning to do a review soon! It's never occurred to me to use a lash primer - I'll definitely be checking out the Clinique one! i have the sun bunny bronzer and IT'S AMAZING!! Love this beauty haul! I should really try a lash primer.. my eyelashes are tiny. I should really ask for Latisse for Christmas- I hear it works wonders! Love this!! I need to try that hairspray asap!! Also I actually have never used a mascara primer but now you convinced me I need to change that! I really want to try that foundation and now you have me sold on it, plus the lash primer! I am going to pass on the mask (currently in my cart) and I am with you on the beauty blender. I have an amazing concealer brush from Sephora that is literally my favorite thing ever. It does magic under eyes! Definitely trying the Biotin gummies! Gummy vitamins are my favorite -- and I am definitely wanting to strengthen my hair! I'm almost out of foundation, so I may try the Urban Decay! Love your picks! I love Too Faced bronzers!!! I was between Bare Minerals and Naked when I picked Naked too and am really happy with my choice...I agree with what you said about the finish being in between and perfect! I really like the beauty blender with Naked. I wish it washed better. I have had mine for a few months and I dont feel like I get it washed thoroughly. The girl at Sephora handed me an "airbrush" when I tried Naked in the store and I sort of want to get that too and use the beauty blender for under the eyes like you said...just so I am not spreading dirt all over my face from not washing it well. I got a sample of that too faced bronzer and love it!! I need to get the others and try! Great buys! I'm still waiting for mine. GRRR. Good tips on the Too Faced bronzers and Bite lip pencils! fabulous post, I love your honesty. I told you my bestie LOVES her beauty blender but I know it's not for me - I prefer using my hands as well. Definitely going to check into the biotin gummies and lash primer! I hear so much about that beauty blender & was curious how it worked. I use sponges & always throw them out - they make my face look blotchy & caked on... I'll have to check it out & see if it helps at all. Such great product selections! Thanks for sharing! I've been on the lookout for a new hairspray! You always find the best stuff! I want to try that foundation! I love Urban Decay products! Ok girl, I'm so glad I'm not the ONLY person on the planet that doesn't think the mask is worth the cost or the hype haha! And totally agree on the Beauty Blender. I LOVE it for concealer but don't like it for foundation. What a great bronzer deal! i LOVE glamglow's masks, and toofaced's bronzer in snow bunny is my favorite! Wait 4 bronzer for $22 was that just a sale price? Need to try it, feeling so pale right now. I got that Glamglow as a sample from Sephora and not I am afraid to try it. I use the vitafusion gummies for vitamins, and I really like them! I like the Two-faced eye palettes so I have been wanting to try some of their other products. The bronzers look great. I've been wanting to try the Too Faced Chocolate bronzer for awhile now, I guess I should take the plunge! Thanks for sharing! those gummies are so tasty! I want to take like 10 at a time haha! I need to try that Urban Decay foundation! I cant find one I like lately! I will have to check out those vitamins. I need something to help my nails and the chewy ones don't hurt my stomach as bad! I have heard similar horror stories of how much that GlamGlow hurts! I've been curious about it though. Glad to hear your honest opinion of the beauty blender. I still haven't bit the bullet on that one and now I'm not sure if I will! I have been wanting a beauty blender for that very reason--under eyes--mine seem to always crease and I heard that works wonders! I also want to try those bronzers--that's a great bargain! We love a good mask and need to try the Ren. We really like the Glam Glow but we like the one in the white tub (Supermud). Two Faced makes some of the best bronzers too!! I need new lip liner and I hate how much I have to spend on hair products.... I am glad to see something that I can buy that won't cost as much as a week's worth of food! What awesome buys!!! 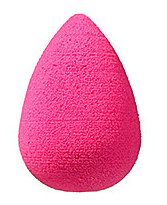 I use the same beauty blender and love it! Great to read your review on the Glam Glow and glad you bought the smaller size cause $19 is still pretty steep! I have got to get some more Biotin! It's been about a year since I had it and my nails are definitely suffering. Love gummy vitamins! Good to know on the beauty blender; I really like using my fingers too. I haven't tried that Urban Decay foundation but I like lightweight foundations so it could be a good one. I wear tinted moisturizer most of the time but for evenings out I like to do a foundation. 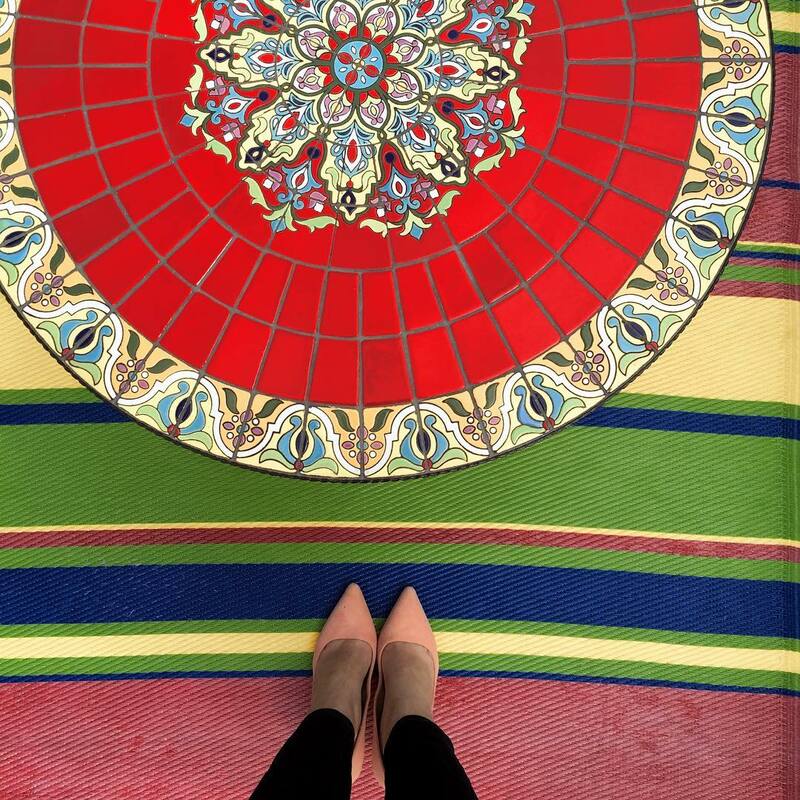 Thanks for sharing Biana! Biotin gummies?! The ones I'm currently taking are like horse pills! Count me in. I really want a beauty blender but I'm like you... I prefer using my fingers when I put on my foundation. I like full coverage. I neeeed full coverage, hahaha! Thanks for sharing this! As much as I love fashion, I really hate trying new beauty products because most of the time I don't like them and then all I can think about it how much money I wasted. I had looked at that hairspray before but now I'm glad I didn't get it because I don't like stiffness. I have been waiting for this review! Great to hear your honest feedback re the beauty blender. I think I will stick with using my fingers; I really think that I get better coverage that way. I just ran out of hairspray (I use Garnier) and I may try this one. Garnier is good but gets softens super fast and loses its effect by the end of the day. 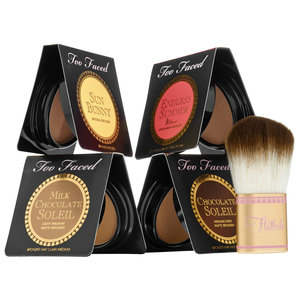 I will definitely be trying the Too Faced bronzers! 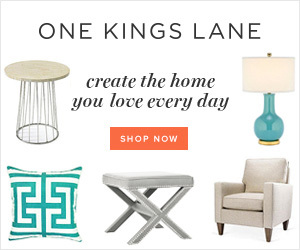 What a good buy, and their products are always amazing! I am not big on those blender sponges either. I use a brush to apply my foundation, and then use my hands to evenly distribute. It just works better for. I've been wanting to try out some of glamglow masks, but still haven't done it. You just reminded me that I have to. I use my beauty blender daily! I apply it all over my face for bb cream, and then use the pointier side for the under eyes, and side of nose spaces that are harder to apply evenly with my fingers. I feel like I do a better job applying with a beauty blender, although it takes a lot more time. I gave the beauty blender a try, but didn't like it either. I went back to use my MAC Foundation brush, which I love! !